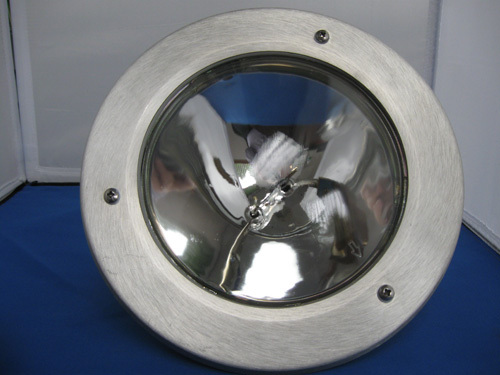 Aluminum Anodizing & Corrosion Protection Coating Services | Modern Metal Finishing Inc.
We were recently contracted by a train manufacturer to provide anodizing services and a corrosion resistant coating to these train headlights. Destined for use on the new M8 trains, which would be running on Connecticut's New Haven line, these coatings had to provide protection against the all kinds of weather elements. 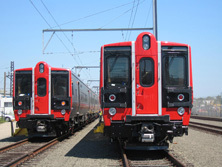 In addition, they had to be durable enough to last as the leading edge of a high use commuter train. This project consisted of two parts; the larger of the two lights we applied a black anodized finish on its rear section, while the smaller light was bright dipped and clear anodized. The bright dip method allowed for high reflectivity, making the light brighter when used, while adhering MIL-A-8625F, Type II - Class 1 & 2 standards. 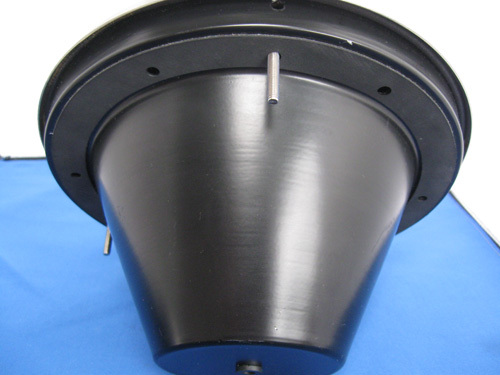 The components are composed of 6061-T6 aluminum for the outer housing, with a 3003-H34 high purity sheet. Anodizing of these 10" x 8" parts was completed using our dedicated rack anodizing process, this advanced process provides superior anodizing with a more durable finish. For more information see the table below or contact us directly. 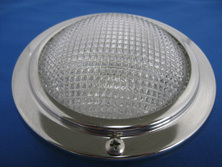 These headlights are used on the new M8 trains in the transportation industry.